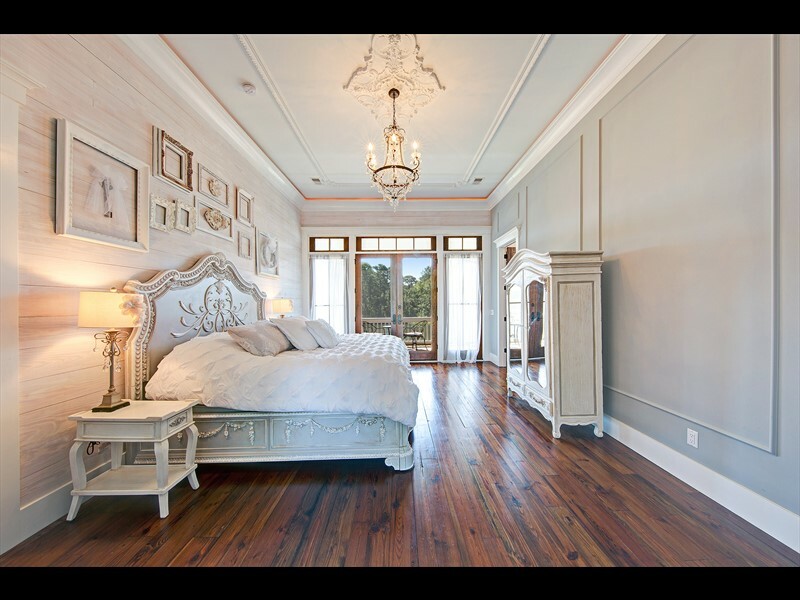 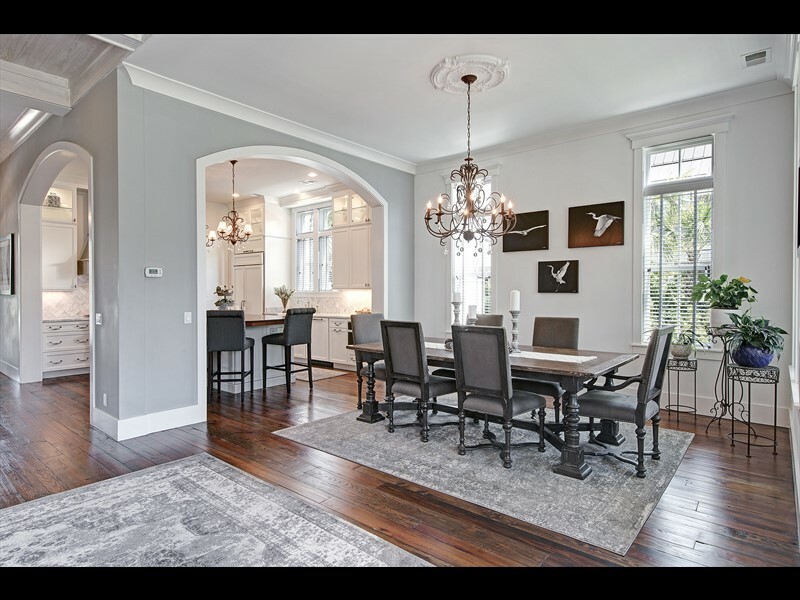 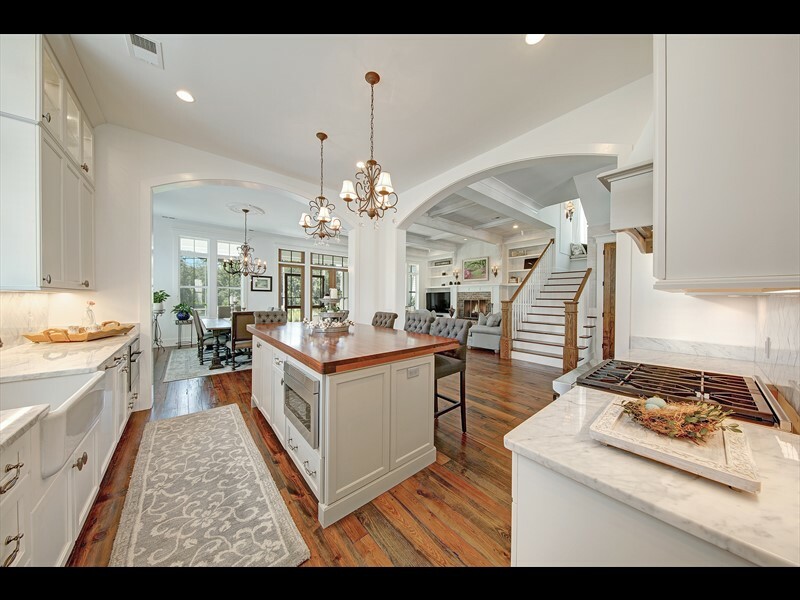 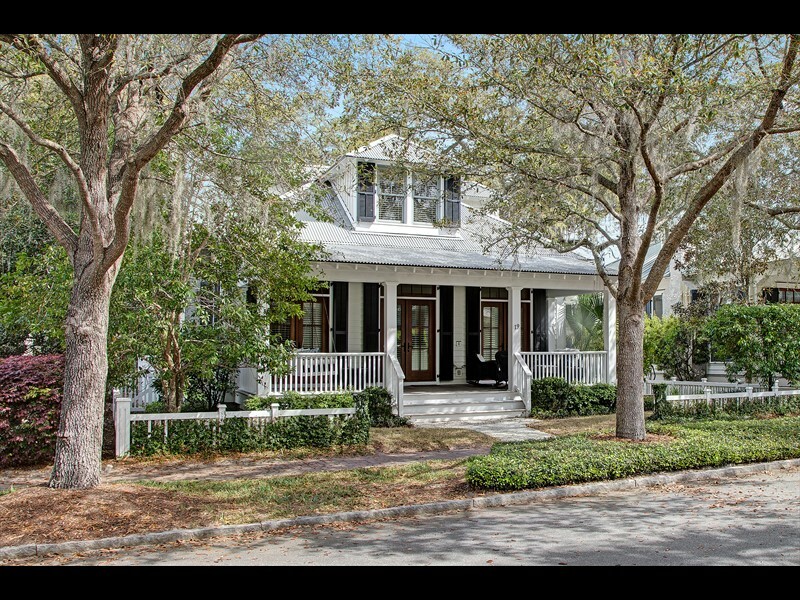 53 Waterfowl Road is a beautiful 3,170-square-foot, two-story residence in the River Road neighborhood of Palmetto Bluff. 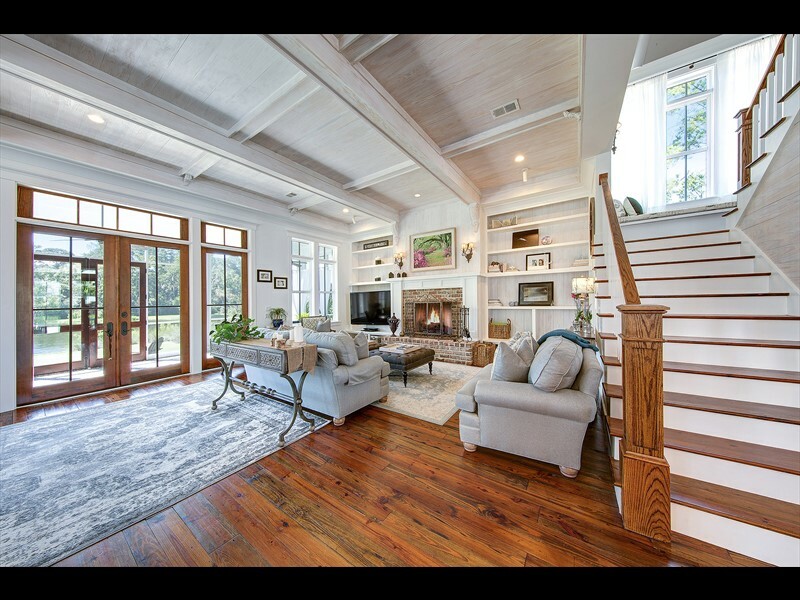 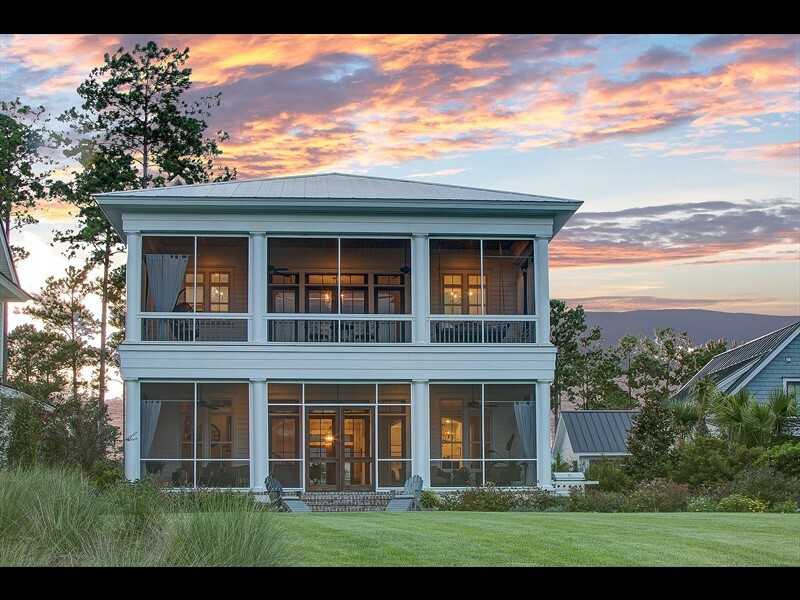 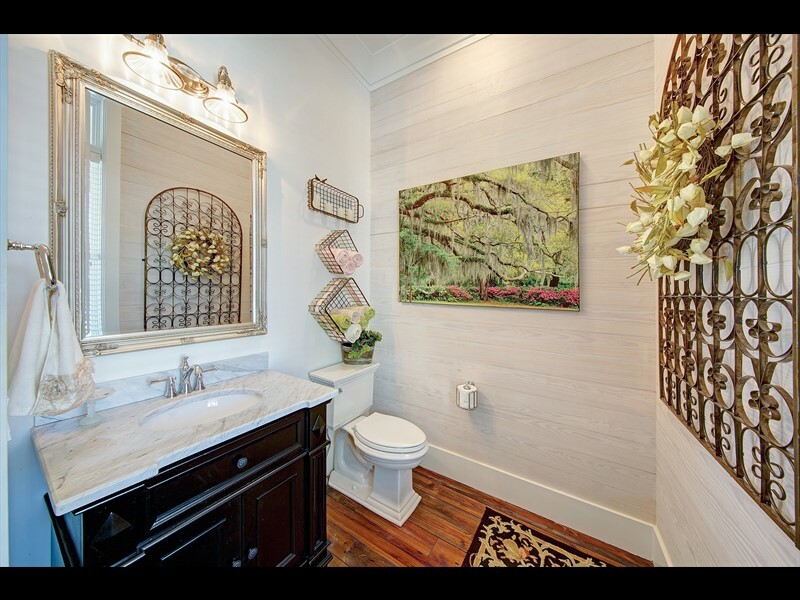 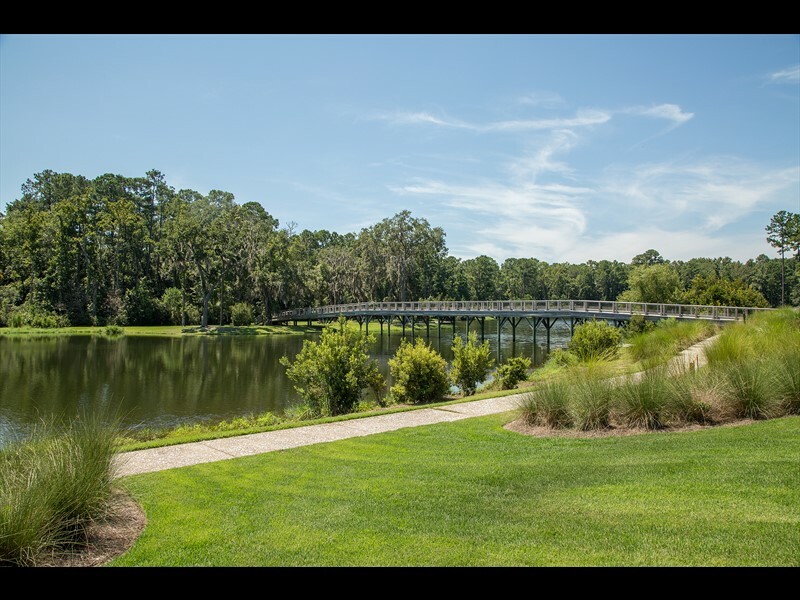 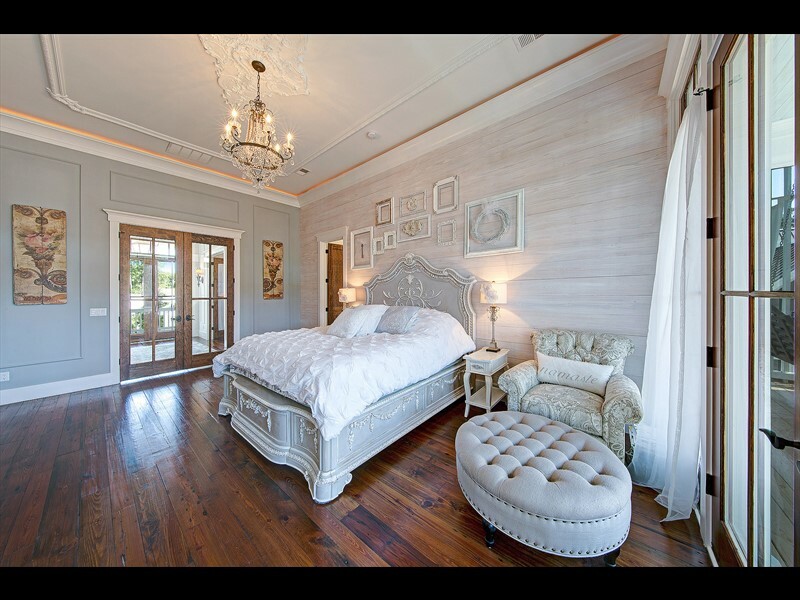 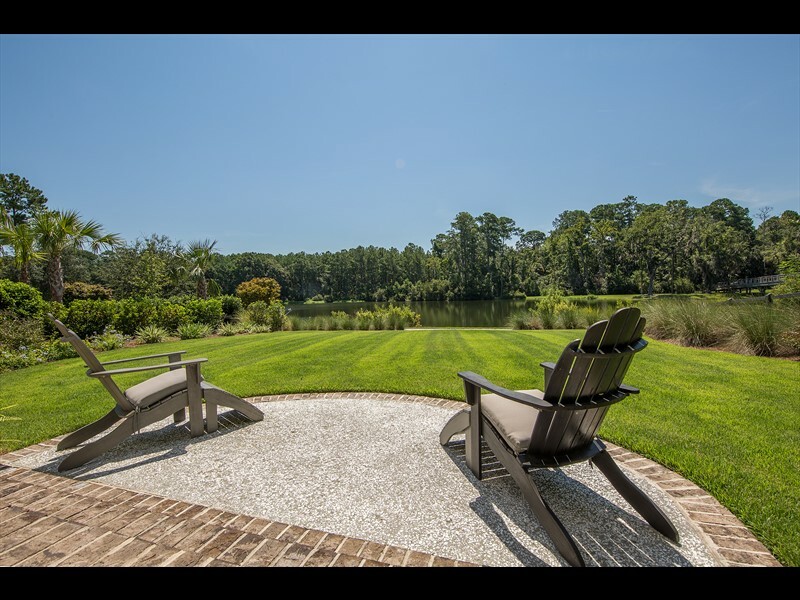 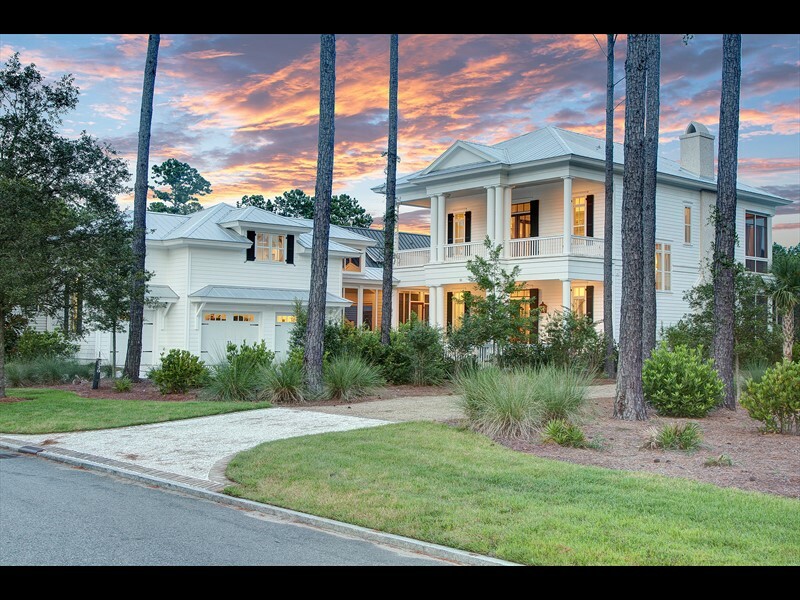 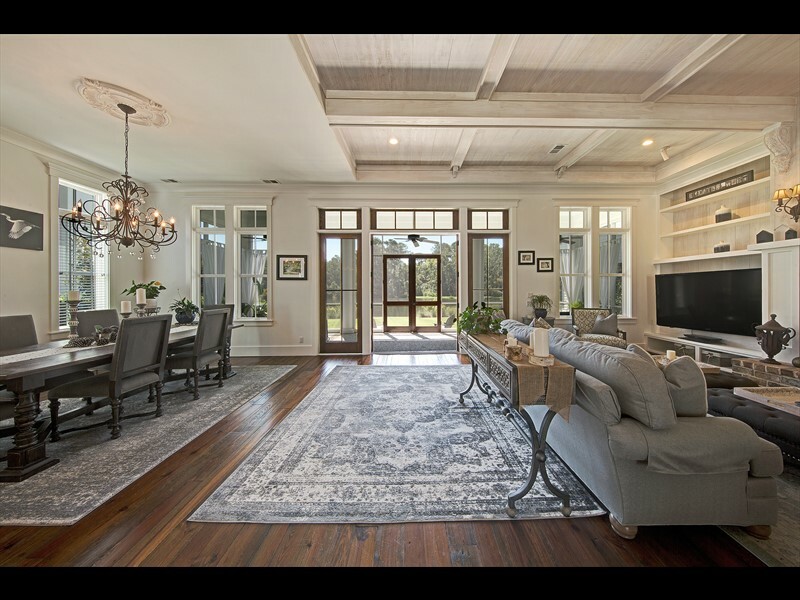 This home is situated along the banks of the Palmetto Bluff inland waterway with beautiful views of the River Road Preserve, a protected 120-acre maritime forest. 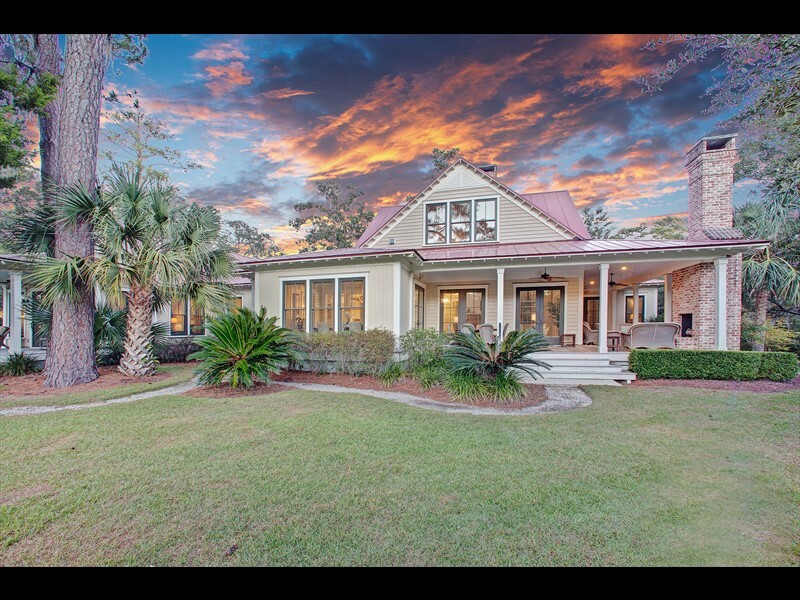 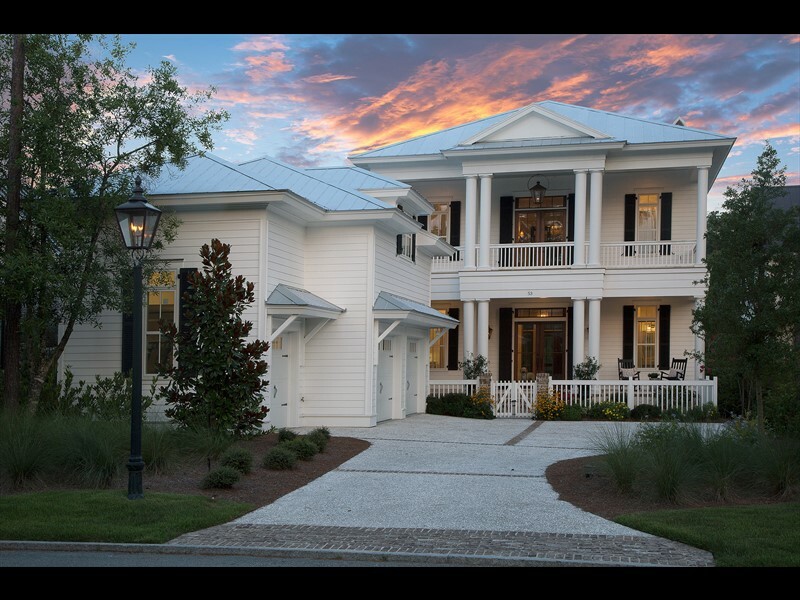 With exceptional landscaping, this home welcomes future owners and guests with a white picket fence courtyard and a large tabby-stucco front porch with white columns that create a true Southern-style home. 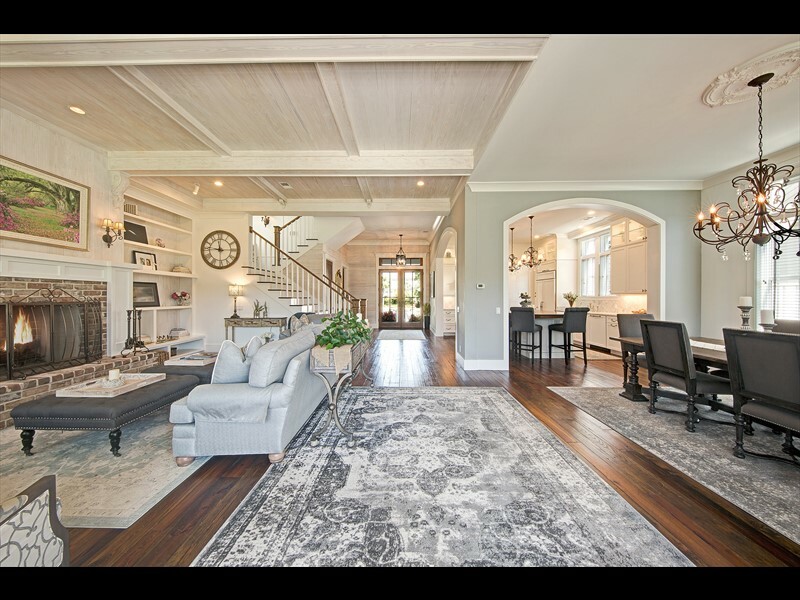 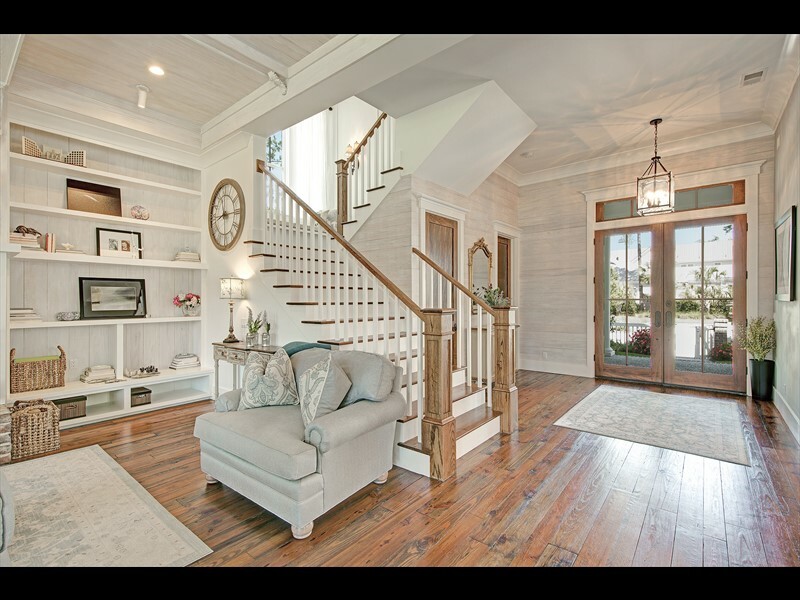 A remarkable foyer entry opens up to a thoughtfully designed first-floor layout that features whitewash shiplap walls, a gas fireplace, hardwood floors and a coffered ceiling with elegant custom corbels. 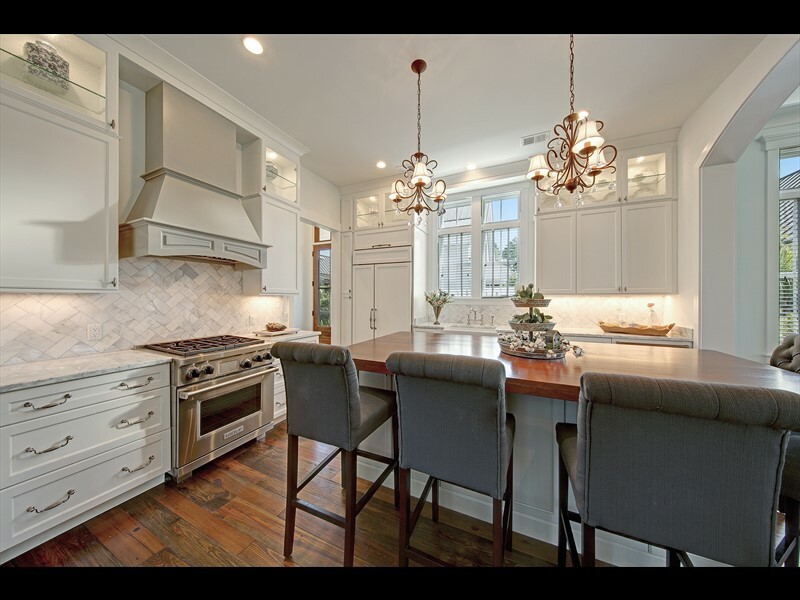 The gourmet kitchen includes a generous-sized island, Wolf and Sub-Zero appliances, Carrara marble countertops and plenty of storage space. 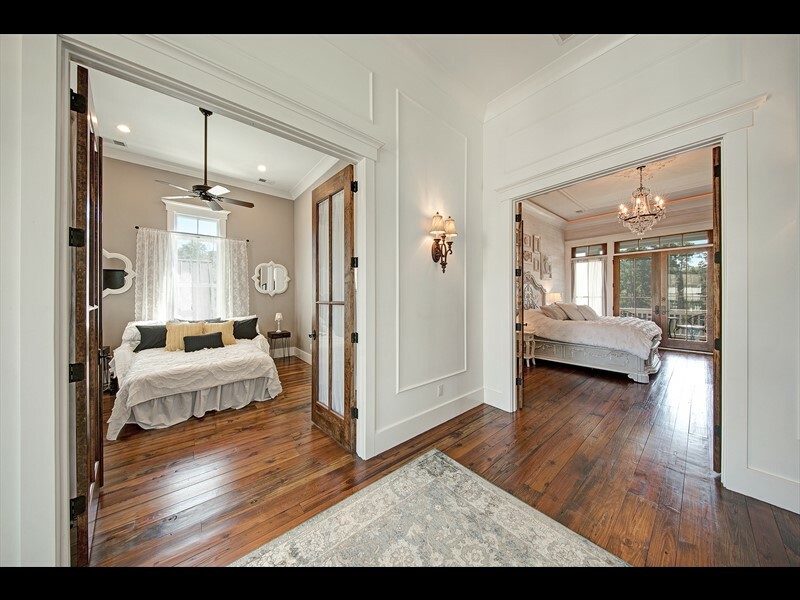 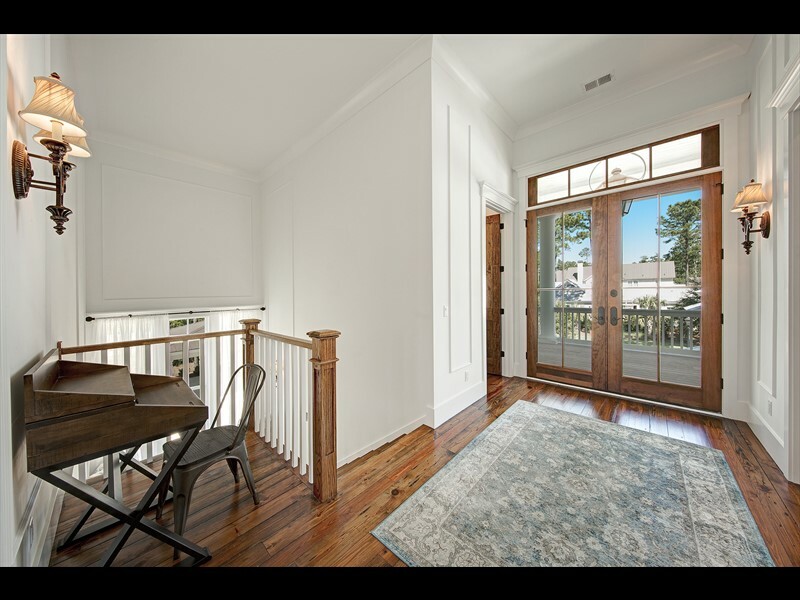 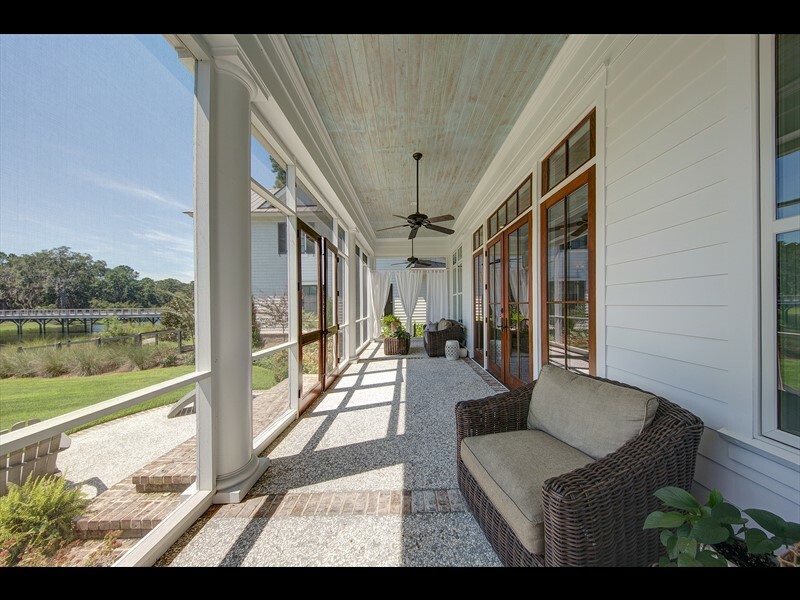 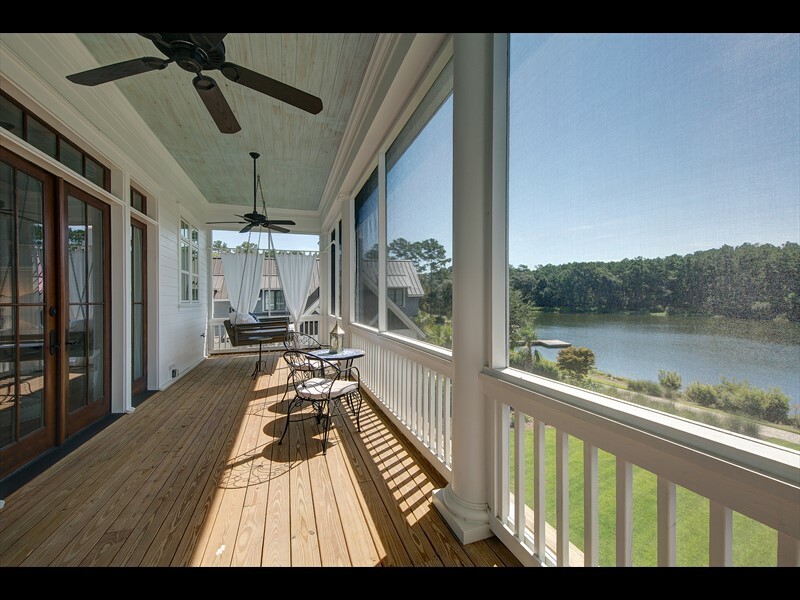 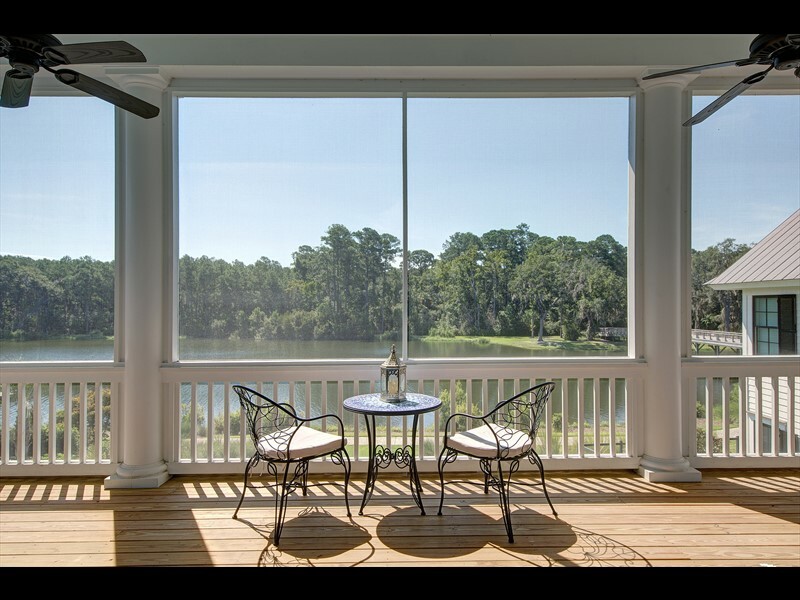 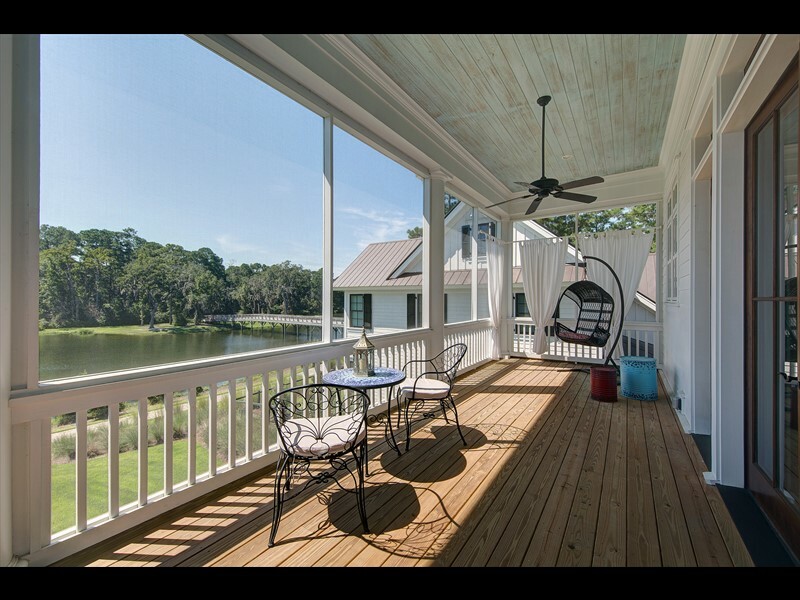 The second floor features a large, relaxing master suite that embraces the coveted water views from both indoors and outside on the private screened-in porch with a swinging porch bed. 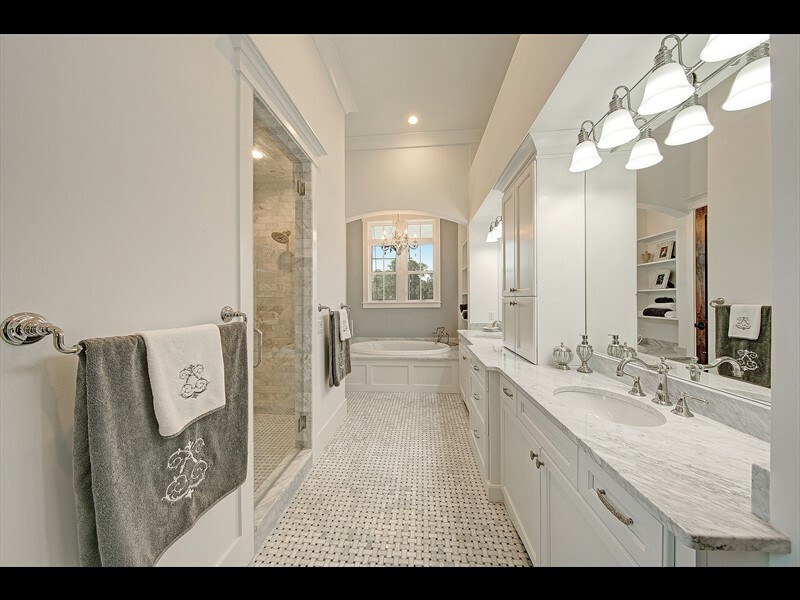 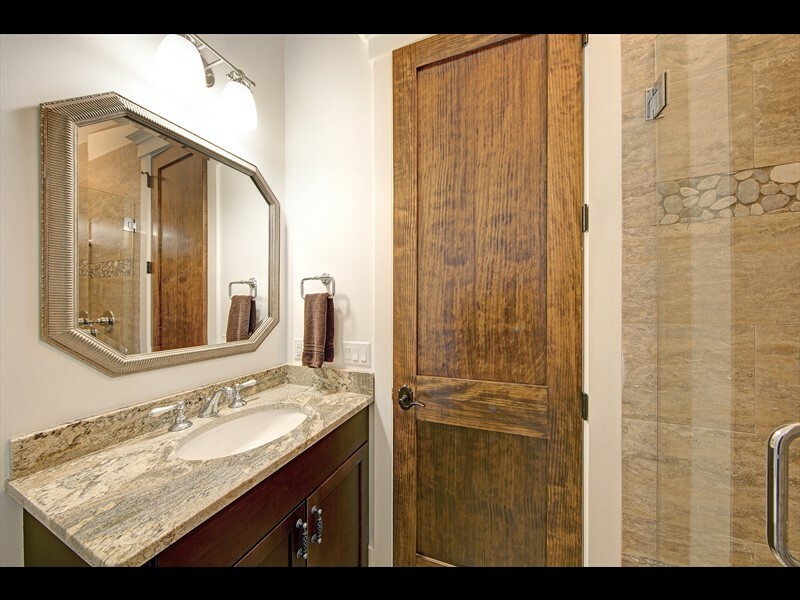 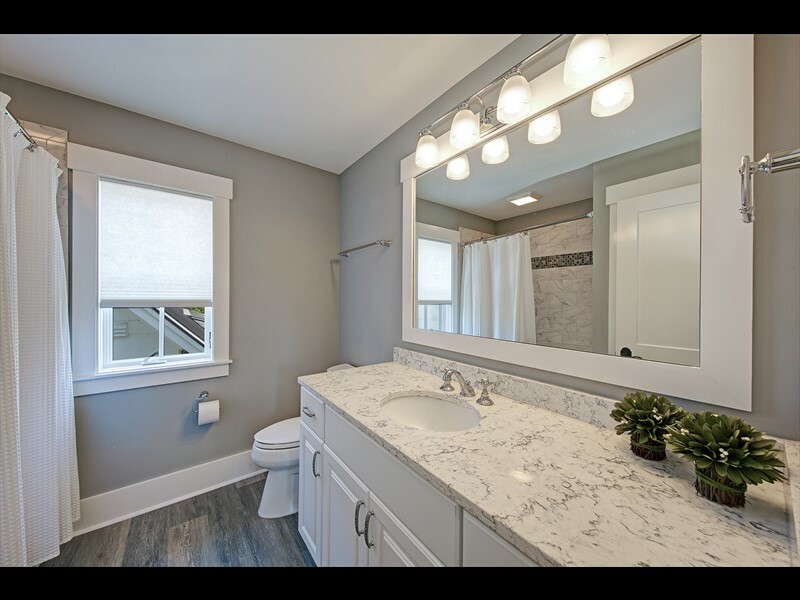 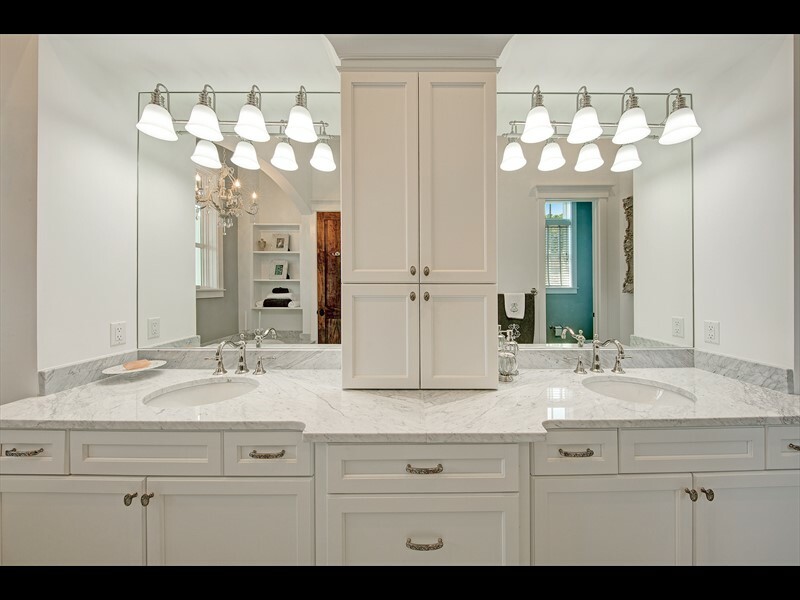 The master suite also includes two large walk-in closets and a spa-like bathroom featuring dual vanities, a standalone bathtub and steam shower. 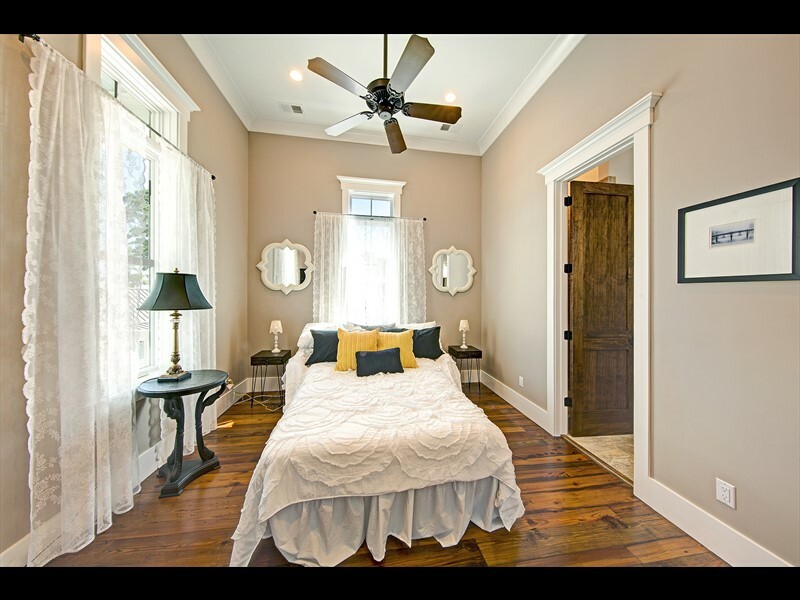 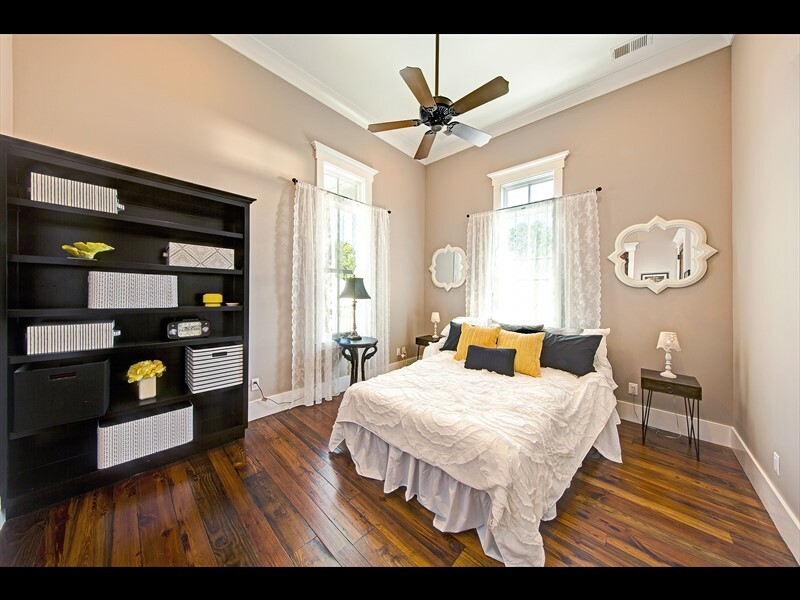 A guest bedroom with ensuite bathroom and large laundry room complete the second floor. 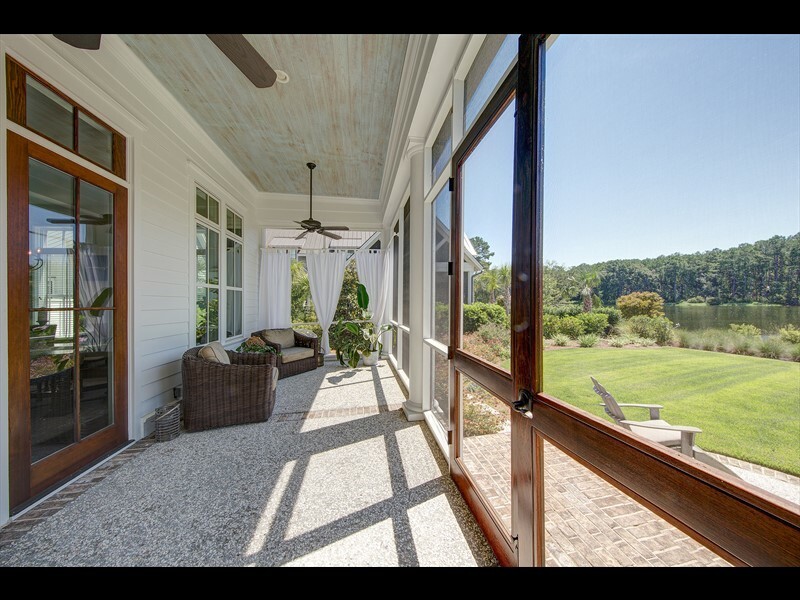 The two-and-a-half car garage is attached to the main home by a screened-in covered breezeway and includes an outdoor shower. 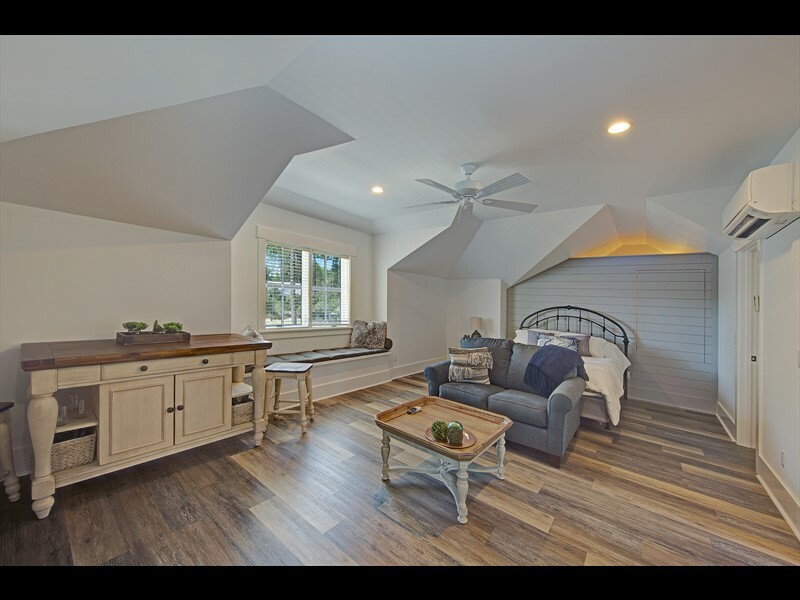 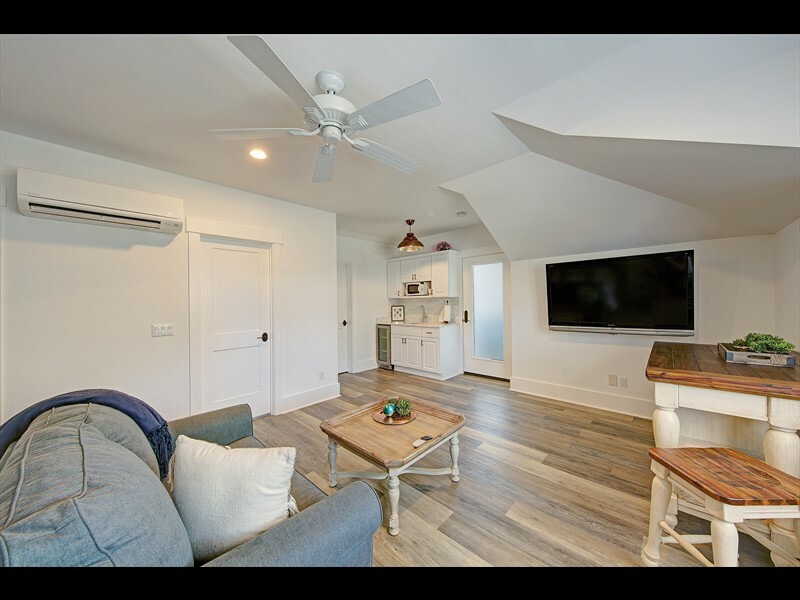 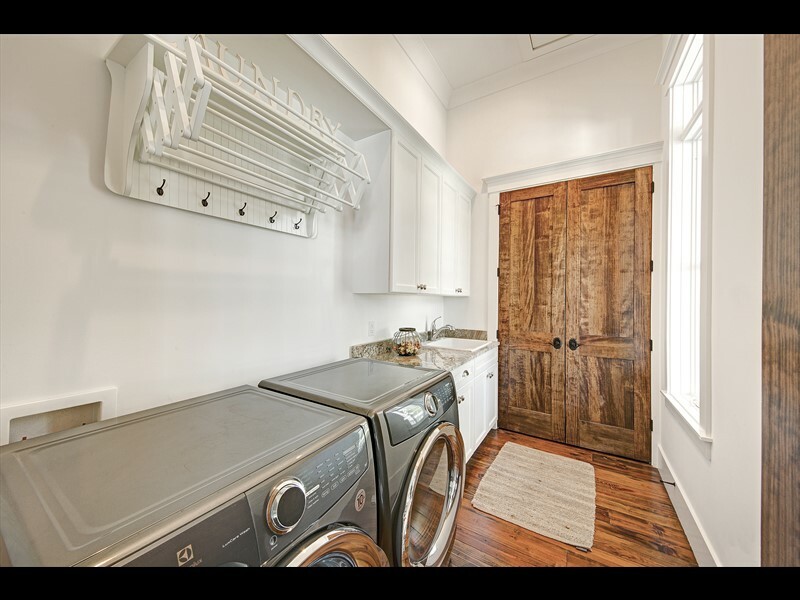 Above, a carriage house gives guests space to enjoy their visit with a kitchenette, walk-in closet, breakfast nook and additional bunk loft. 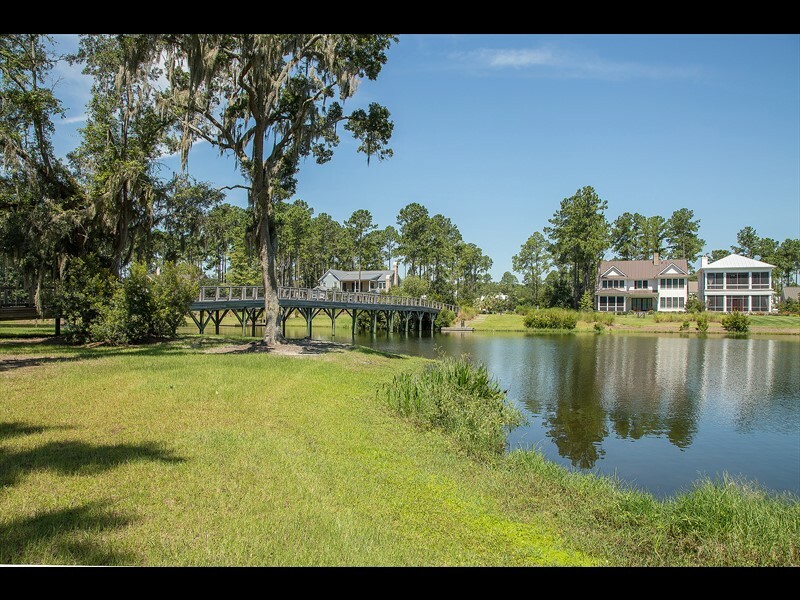 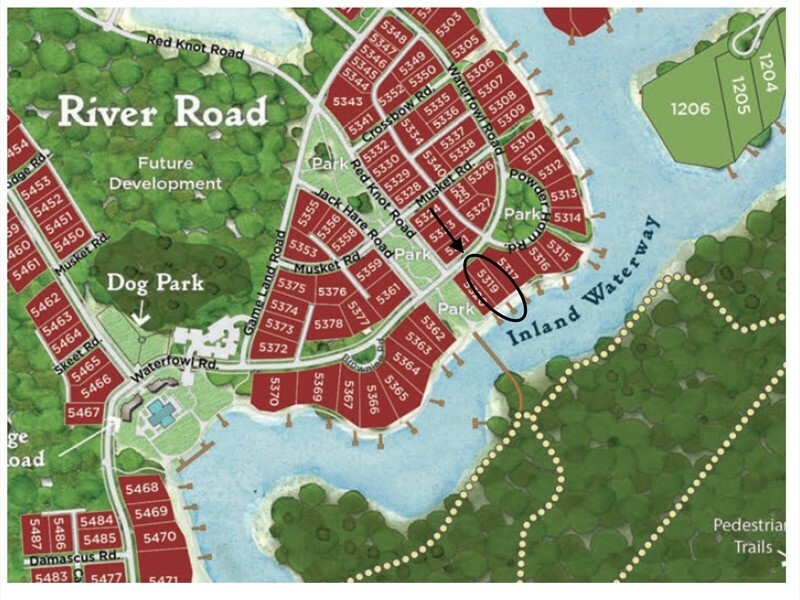 This waterfront property also offers a dock easement along the inland waterway for future owners to access both Wilson and Moreland Villages by water. 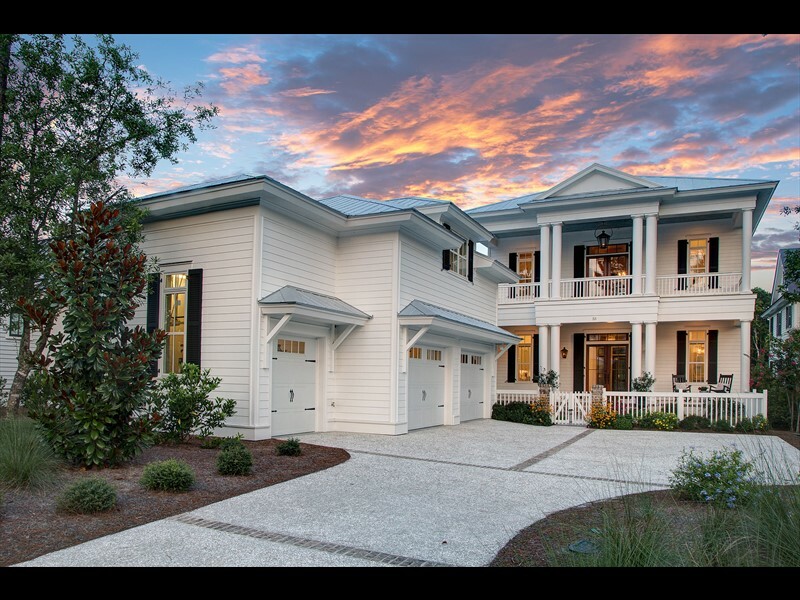 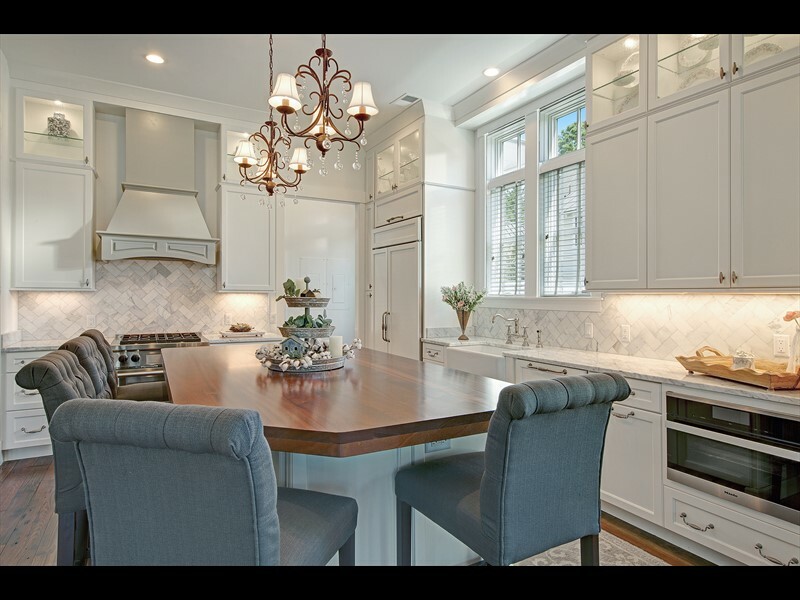 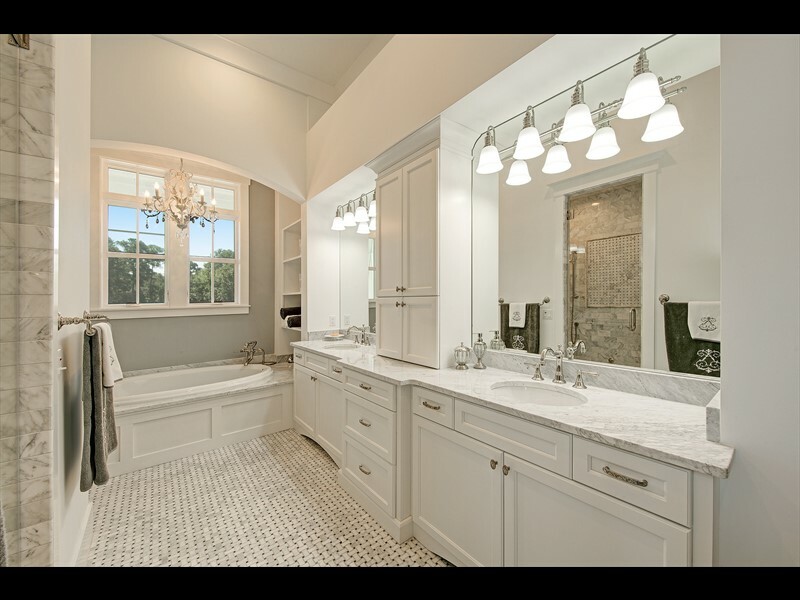 This well-designed home is conveniently located between Wilson and Moreland Villages for future owners to enjoy the amenities of Palmetto Bluff with ease. 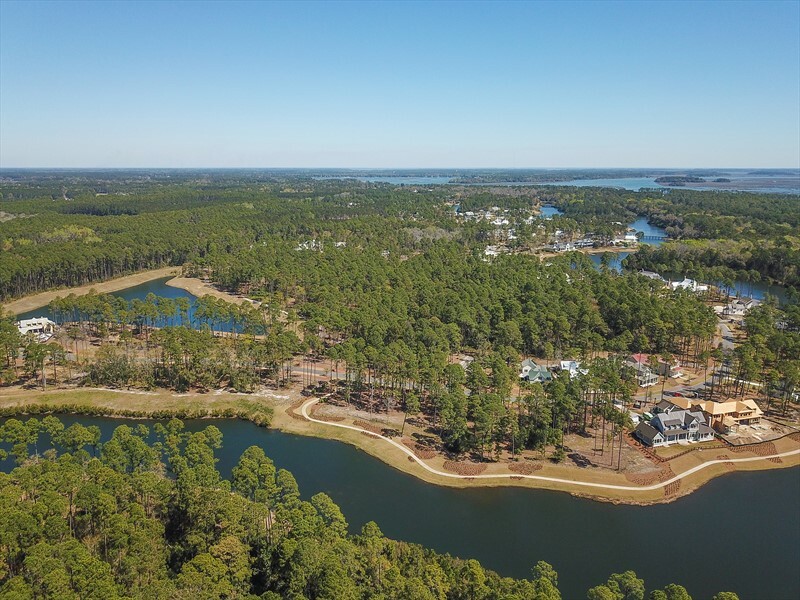 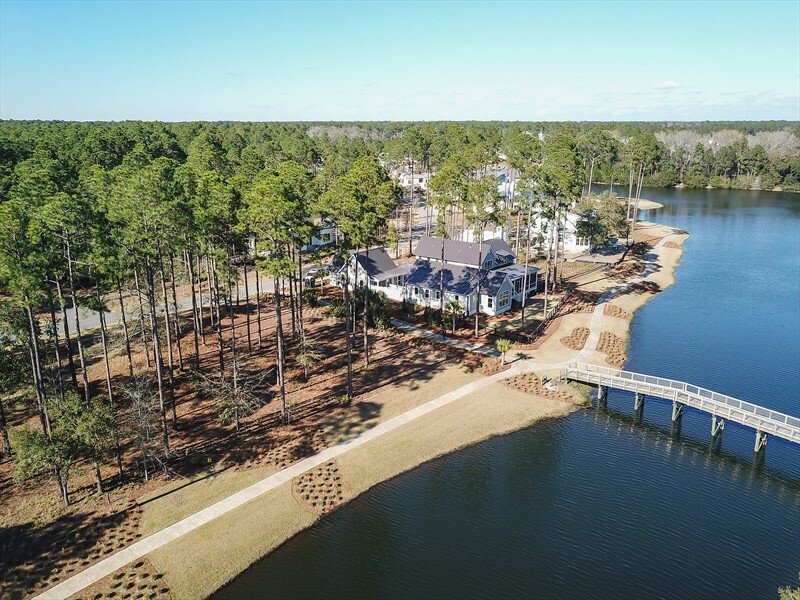 The Lodge, a members-only amenity, is also located within walking distance and offers a fitness center, playground, dog park, lounge area and zero-entry pool along the banks of the inland waterway. 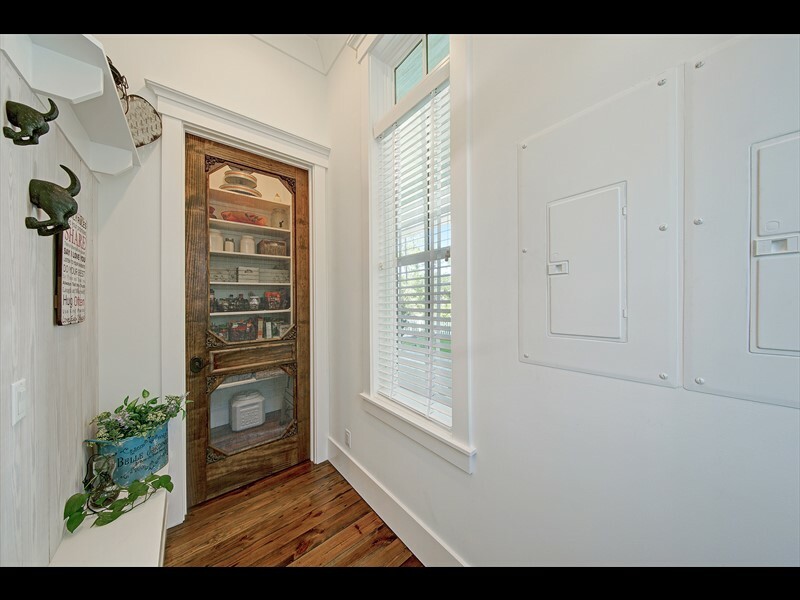 *Square footage provided by Seller.